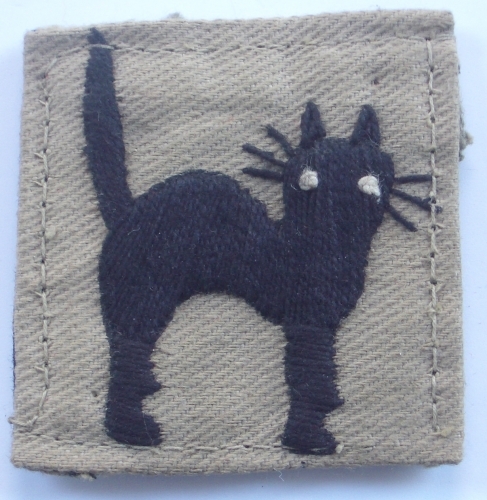 Black arching cat embroidered on KD rectangle. Raised Ahmednagar Spring 1941 under Major General Smythe VC. The black cat was adopted in 1943. Saw much bitter fighting against the Japanese in Burma and Assam and particularly in the Chin Hills and Imphal areas.